A Northern Virginia native, Brian graduated from McLean High School as a Highlander ranked number one in both singles and doubles. Moving on to James Madison University, Brian played at #1 doubles and # 3 singles. After graduation, Brian received his teaching certification from the United States Professional Tennis Registry and immediately went to work for Sport & Health Inc. as an Assistant Pro at the Regency and finished as the Director of Tennis/Head Pro at Annandale Sport and Health Club. At the Springfield Golf and Country Club, he worked for 3 years as Resident Professional. Brian also worked as the Director of Tennis at The Fort Myer Officer’s Club and the Burke Racquet and Swim Club. After moving to our area in June of 2016, Brian was hired as the Head Professional at the Culpeper Sport and Racquet Club. 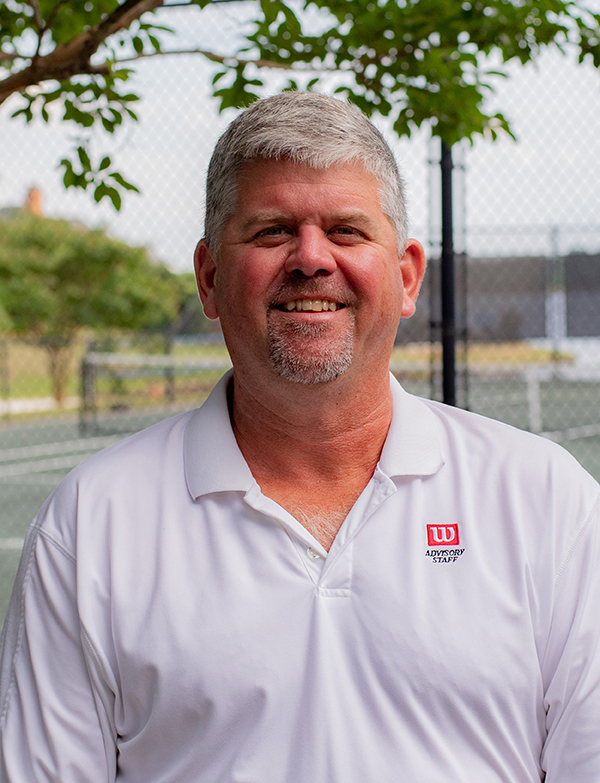 Most recently, Brian has the role of Resident Tennis Professional at the Fredericksburg Country Club and the Head Pro at the Lake of the Woods Tennis Club. Joshua was introduced to the world of Culinary Arts at the age of 16 working at a southwestern style restaurant in Fredericksburg, VA. Upon graduating from Scottsdale Culinary Institute in 2000, Joshua worked at Cowboy Ciao and helped open Kazimierz Wine Bar in Scottsdale, AZ. He left Arizona in 2002 and returned to Virginia and worked in a small Bed & Breakfast in Woodstock, VA. From there he helped open Augustine’s in Fredericksburg Square and then took the Head Chef position at Kenmore Inn, where he worked from 2005 until 2011. In 2006 Joshua’s daughter was born, which changed his life and career track as he was given sole custody when she was just 21 days old. In 2011 Joshua left Kenmore Inn and continued to gain experience working at Potomac Point Winery and the Inn at Kelly’s Ford before accepting the position of Executive Chef at FLCC in October 2013.